There’s no getting around it—moving can be overwhelming, and one of the biggest hassles is going through all of your current household items and deciding what to pack and what to get rid of before the big day arrives. Decluttering the home is a key factor in reducing costs and saving on the stress of the moving process, but knowing exactly what to do with the items you no longer need is an entirely different problem! At St. Pete Moving & Storage, we want all of our customers to have a seamless relocation experience, which is why we highly recommend donating unwanted items during a move to make the entire process much easier. The Community Library - Books are one of the hardest items to pack, and their heavy weight can quickly cause your moving costs to go up. Sorting out your books before moving day is a wise decision, and you don’t have to feel guilty letting your old books go when you donate them to the local libraries in your area! Keep in mind that children’s books, DVDs, and CDs are also commonly accepted by libraries for book sales and to replenish their shelves. Dress for Success - If there is one thing that most of us have too much of, it’s clothing. Pare down your closet and reduce the need for packing more boxes by donating your gently used clothing to Dress for Success—a non-profit organization that focuses on helping women thrive in the workforce. For men’s and children’s clothes, you can also donate to organizations such as Career Gear, Savers, and Newborns in Need. Local Food Pantries - Whether you are moving within the area or planning a cross-country relocation, taking food along for the journey can be a major hassle. Instead of throwing away perfectly good food that you couldn’t finish up before moving day, drop non-expired, undamaged food off at your local food pantry. To find the closest food pantry near you, check out Feeding America for a list of local resources. Vietnam Veterans of America (VVA) Have some unused furniture, appliances, electronics, or other household items that you don’t want to spend time packing-up for a move? Contact Pickup Please, an organization run by the VVA, to schedule a hassle-free pick-up of your belongings right at your home! 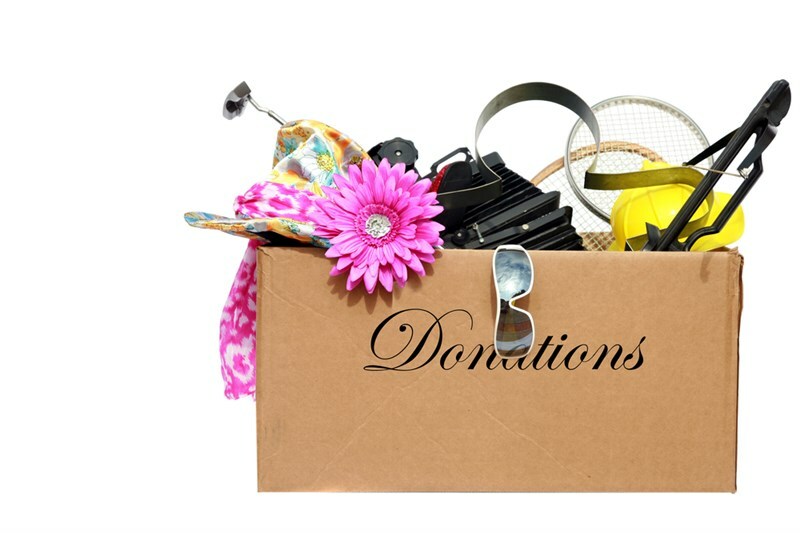 Other options for charities that accept household donations include the Salvation Army, Goodwill, and Habitat for Humanity Restores. Donating unwanted items during a move does more than just lighten your load on moving day and lower the overall cost of your relocation—it gives you the opportunity to help your local community and recycle unneeded items to those who need them the most. At St. Pete Moving & Storage, we are a company built on community involvement and unparalleled customer service, and we’d be happy to fill you in on more tips and tricks for getting the most out of your next move. Just give us a call or fill out our online form today to contact us for a free, no-obligation estimate and consultation.